Police have raided several top football clubs across the country in an investigation into money laundering and match fixing, with two leading agents arrested. This morning there were searches of 44 addresses in Belgium as well as 13 overseas. Several top clubs were being searched as police question a number of high-profile people involved in the domestic game. De Standaard reports that the investigation is focusing on player agents Mogi Bayat and Dejan Veljkovic – who have been arrested – and the clubs with which they have done business. Police suspect financial irregularities in some of the player transfers organised by the two men. Former Anderlecht manager Herman Van Holsbeeck, Club Brugge coach Ivan Leko and referees Bart Vertenten and Sébastien Delferière have also been taken in for questioning. The investigation began at the end of last year and centres on suspicious financial transactions, following a report by the federal police’s Sports Fraud Unit. It is focusing on money laundering, corruption and fraud, as well as match fixing during the last football season. 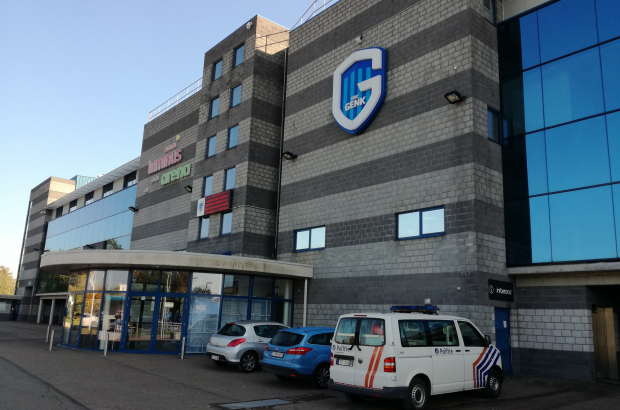 The clubs searched this morning were Anderlecht, Club Brugge, AA Gent, Racing Genk (pictured), Standard, Lokeren, Mechelen, Oostende and Kortrijk. Since becoming an agent eight years ago, Bayat has become the most powerful agent in the country. He has been involved in transfers at almost all the top clubs, as the middleman between club and players. While his financial affairs are under investigation, he is not thought to be suspected of match fixing. Veljkovic has placed several players in recent years at KV Mechelen and Lokeren and has links to other clubs. His financial affairs are in question, and he is suspected of match fixing, according to De Standaard. As well as the raids in Belgium, there have been searches in other countries where Bayat and Veljkovic have interests, including Malta, Cyprus, Macedonia and Serbia. Investigators are looking for files relating to transfers in which the two were involved. Club Brugge has stated that it is fully cooperating with the investigation. The club’s chair told De Tijd that it had handed over contracts and other documents to police, which he said will show that “everything is clean and in order”. On Twitter, sports minister Philippe Muyters called for transparency and cooperation from the world of football, saying players and fans had a right to expect an honest sport, while justice minister Koen Geens said that match fixing undermines integrity in sport.